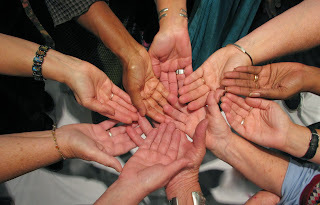 Join the Conversation tonight Tuesday, September 24th at 6pm ET when Carmela and Cheryl discuss midwifery in Florida, past, present and future. 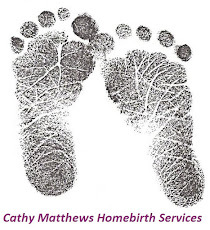 We will be joined by the organizers of the 2013 conference for the Midwifery Association of Florida, midwives Justine Clegg and Christina Holmes, and we'll learn why an investment in midwifery is an investment in good maternal health. Have a question for our guests? Please email us or post to our facebook page. Tune into WSLR 96.5 LPFM or online at wslr.org Tuesday, September 24th at 6:00pm ET. The program will also available later in the evening via podcast at maternallyyoursradio.com. Maternally Yours took on an extremely important topic this week: postpartum depression. Following the loss of Sarah Harnish and her 17-month-old daughter, Josephine Boice, this show was dedicated to their memory. Though this topic is heavily stigmatized and rarely discussed, this tragic event has prompted many in the area to come forward and discuss postpartum depression as well as other mental illnesses prevalent in the childbearing years. Postpartum depression is defined as the onset of depression within 4 weeks after delivery. The bravery of seven mothers in the Sarasota community was celebrated, as they came forward to discuss their experiences with PPD over anonymous phone interviews. Common threads of these experiences included sleep deprivation, isolation, breastfeeding/hormone triggers, mental health triggers, not knowing who to turn to, lack of support, fear of losing one’s baby to the authorities, suicidal ideation and attempts, and suicide prevention due to not knowing what care the baby would receive. Overall, seeking treatment, engaging in exercise, being in sunlight, providing partners with a list of triggers, and talking about it were consistently cited as helpful means of dealing with PPD. Sarah Workman Checcone, founder and executive director of the Postpartum Society of Florida, and Monica L. Cherry, licensed mental health counselor, are two Sarasota community experts in postpartum mental health that came in to discuss the topic of PPD. They provided expert information on diagnosis of PPD, symptoms of PPD, risk factors surrounding PPD, and methods of receiving help. Additionally, Sarah Checcone was brave enough to discuss her own experiences with PPD. In the Diagnostic and Statistical Manual (DSM IV), the manual that states criteria for diagnosing mental health disorders, there is no specific set aside area for postpartum depression. Instead, it is considered an onset of a regular clinical depression, bipolar, or psychosis (which could include schizophrenia) occurring within the time 4 weeks following birth. Post-partum blues, depression, and psychosis are all separate things: 50-80% of women experience postpartum blues, which is normal but transient. If these feeling persist for over 4 weeks, this gets into clinical area of postpartum depression. Additionally, it could be postpartum bipolar or psychotic episode. Psychosis is similar to schizophrenia- much more rare, 1 in 500. Risk factors for PPD are personal psychiatric history (i.e., mood disorder diagnosis), stressful life events, lack of social support, and a lack of family support. There are no demographic variables that have been identified as making someone more likely to experience PPD. Monica Cherry did notice, however, age-related trends in her private practice experience. Women 18-29 years of age tends to be the most frequent as far as treatment; she thinks because they tend to be screened more regularly by Healthy Start. Another common theme of PPD that Checcone mentioned was women displaced from their families. Giving birth six months ago and then moving from somewhere else requires finding a new support system, which can often add to feelings of isolation characteristic of PPD. Additionally, high-need babies can be a trigger for PPD with the added responsibilities of care. One of the courses being offered by Checcone at the Postpartum Society of Florida now is a workshop where women and couples can take a personality inventory to figure out what helps them keep calm, what stresses them, and what triggers extreme stress in order to identify problematic areas. To learn more about Sarah Checcone’s organization The Postpartum Society of Florida, you can refer to her website at www.postpartumflorida.com. To learn more about Monica Cherry, LHMC, you can visit her website at www.monicalcherry.com. Universal screening at the first prenatal care appointment does take place via the Healthy Start Risk Screen. If someone is an active client in Healthy Start, they are monitored for signs of depression. Up to three years after a baby’s birth, a woman having symptoms of depression can call Healthy Start for help. In all of the cases above, a Healthy Start Care Coordinator will talk to her about the concerns she has and the level of support she has from her family. They will discuss available options for assistance based on the degree of difficulty she is having, and will arrange for counseling and follow-up with the goal of averting a crisis. Instead of the Coalition website, quickest and direct help can be obtained by calling the Healthy Start Program at (941) 861-2905. Recent events in our community have brought mental illness and postpartum depression and anxiety to the forefront of mothers' conversations. Join the Conversation tonight, Tuesday, September 17th at 6pm ET as Laura and Carmela hear real stories from several brave mothers who are speaking out, some for the first time, in the hopes that other mothers that need it will seek help. We will also be joined in studio by Sarah Workman Checcone, founder of the Postpartum Society of Florida, as well as Monica Cherry, LHMC. Have questions for our hosts or our guests? Please email us or post to our facebook page. Tune into WSLR 96.5 LPFM or online at wslr.org tonight, Tuesday, September 17th at 6:00pm ET. The program will also available later in the evening via podcast at maternallyyoursradio.com. 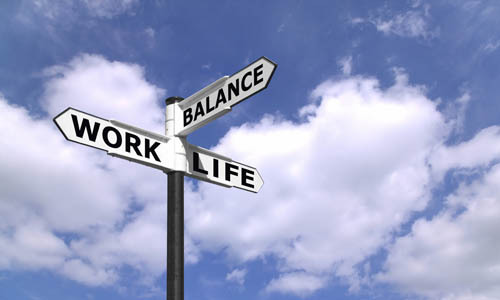 Looking for ways to better achieve that elusive equilibrium between work life and home life? Join the Conversation on Tuesday September 10 at 6pm as Ryan and Cheryl follow up on our Working Motherhood Series with Jennette Cronk director of the Work Life Balance Protection Agency (http://wlbpa.org/). Whether you stay-at-home, work-at-home, or work outside of the home, we'll have tips and tricks for maintaining symmetry, and sanity, within your many roles. Have questions for our hosts or our guests? Please email us or post to our facebook page. Tune into WSLR 96.5 LPFM or online at www.wslr.org tonight, Tuesday, September 10th at 6:00pm ET. The program will also available later in the evening via podcast at maternallyyoursradio.com. Join the Conversation on Tuesday, September 3rd as Cheryl and Ryan gather with local parents who chose family birthing, commonly called planned unassisted birth. We’ll get the 411 on why they made the choice to birth without professionals and how they have prepared for their births. Did you choose to birth alone? Have questions for these experienced parents? Have questions for our hosts or our guests? Please email us or post to our facebook page. Tune into WSLR 96.5 LPFM or online at www.wslr.org Tuesday, September 3rd at 6:00pm ET. The program will also available later in the evening via podcast at maternallyyoursradio.com.